Ooooo! Don’t you love it? I do! It is an art tile that we bought in Napa, but it was made in China. It can be hung, propped up, and/or used as a trivet. Guess what I am doing with it? 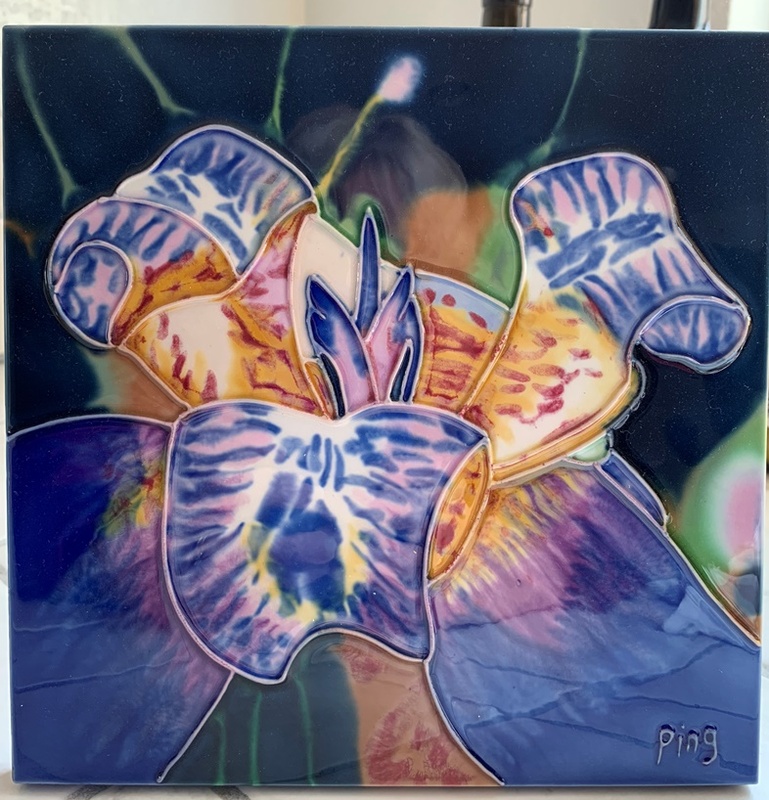 My flower tile for today’s Friday Photo.